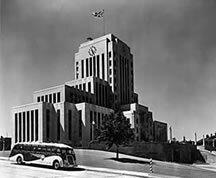 The City of Vancouver is governed by 10 councilors and the mayor, all of whom serve 3 year terms. The councilors also represent the city on various local boards and commissions (i.e. The Vancouver Economic Development Commission and the City of Vancouver Public Housing Corporation).